Doug grew up in Richland, WA., completed his BA in Philosophy at Wheaton College, IL. and Master of Divinity at Regent College in Vancouver, B.C. Following 22 years serving as a Presbyterian Pastor in Alaska and Idaho, Doug (son of founders Alan and Anna) followed his dream to come to Ingalls Creek where he now serves as Executive Director. Together with his wife Susan (speech therapist), they provide visionary leadership for the Center for Faith, Calling, and Community. Doug and Susan enjoy spending time with their three grown daughters (Katie, Anna, and Laura), taking Creekside walks with their black lab (Ellie), hiking, fly fishing, playing music, hosting friends, and making Ingalls Creek a treasured place for others to come. Karen joined the Ingalls Creek team in Aug. of 2016. She was born in Pasadena CA and grew up in San Diego, where she received a BS in Recreation Administration from SDSU. She relocated to Bainbridge Is. In 1979 with her husband Brad and their two young daughters. They now reside in Leavenworth where they enjoy visits from their extended families and five grandchildren. She enjoys spending her time serving in ministry with her church family and as chairman of the local Young Life Committee. 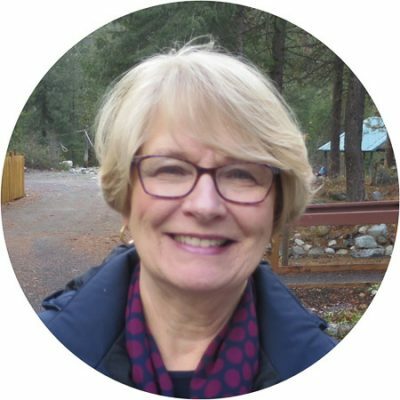 Her role at Ingalls Creek brings her great joy as she assists groups in creating their special retreats and getaways where they can connect with the Lord, renew and refresh. Mary would like to spend her days sitting beside a mountain waterfall, eating really great chocolate while reading a good book. When she is not doing that, she does the bookkeeping for Ingalls Creek, teaches remedial reading at a local alternative high school and promotes foster parenting. In her free time, she can be found partnering with her incredible husband of 37 years who has been an associate pastor at the same church in Cashmere for 32 years. They have raised three children of their own and provided a temporary home to dozens more. Ron grew up in Lexington, KY, graduated from Asbury College, and transitioned to the Pacific Northwest to serve as Maintenance Supervisor for the Grunewald Guild in Plain, WA. Leah grew up in Plain, where they met and eventually married! After spending a year abroad with Y.W.A.M., Leah served as youth leader and caretaker at Plain community Church. Ron and Leah both serve as volunteer leaders with Leavenworth Young Life. 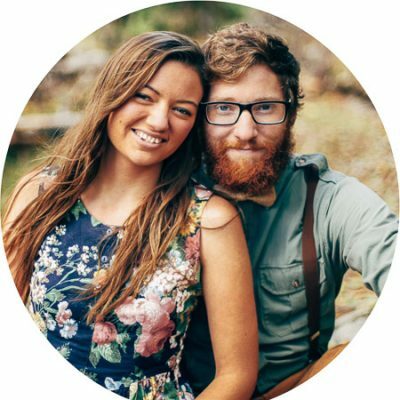 Their passions lie in non-profit ministry, and begin a new chapter of their lives serving with the Ingalls Creek Center as the Facilities and Hospitality Managers. Amy comes to us from the Tri-cities in central Washington, where she teaches English/Language Arts in the Kennewick school district. Amy and her husband Marty served as Ingalls Creek volunteers-in-residence during the summer of 2016. They have 3 grown daughters, and a passion for beauty found in music, art, and nature. Amy loves to ask important questions and trust God to provide wisdom and resources necessary for ministry here at Ingalls Creek to flourish. Bob currently serves as Dean of St. Andrew’s Hall, a theological college of the Presbyterian Church in Canada, and teaches mission theology and leadership at the Vancouver School of Theology. Before moving to Vancouver, B.C. three years ago, he had served as a pastor of churches in Washington, Oregon, and California. He and his wife, Suzi, have three adult sons, who have fond memories of camping adventures at Ingalls Creek when they were growing up. He enjoys the occasional round of golf and fly-fishing. Amy grew up in Spokane, WA and served for many years as a pediatric oncology nurse. 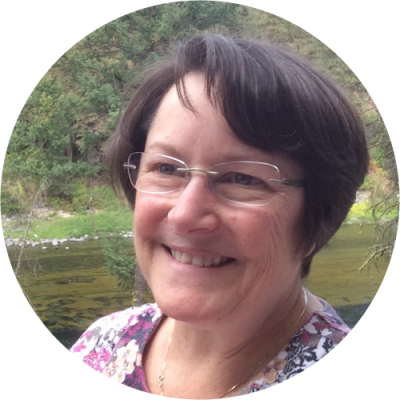 Together with her husband Eric, she has raised three wonderful daughters and has been actively involved in various volunteer and ministry activities in their Post Falls, Idaho community. Amy brings experience in vision casting and fundraising, serving on educational and Christian camp boards as well as developing ministry initiatives within her local church. Amy loves spending time with friends and family and enjoying the wonders of God’s creation – skiing, hiking, camping, gardening or just watching the sun set. Bob grew up in Kirkland, WA and has made Richland, WA his home since 1971 where he had a government career in financial management. He is very involved with his church, president-elect of the Richland Rotary Club, and has been active with Junior Achievement and Habitat for Humanity, including establishment of a ReStore. Bob and his wife Judy have five married children, and numerous grandchildren and great grandchildren. 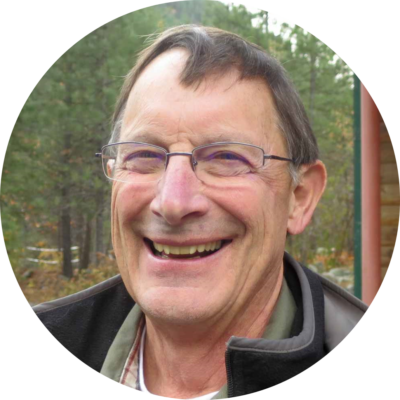 Bob desires to exemplify the Rotary motto of “Service Above Self”, and has a love for hiking/backpacking and enjoying God’s beautiful creation. Bill has lived in Yakima, WA since 1987. He has been a Presbyterian pastor since 1977 until his retirement in 2017. He has served churches up and down the west coast, as well as finishing his career as the chaplain at the Sundown M Ranch, a treatment center for alcohol and other drug addictions for the past 18 years. He has been married to his wonderful wife Kathy since 1974, and they have two children, both are now married, and have two grandchildren who live nearby in Selah, WA. 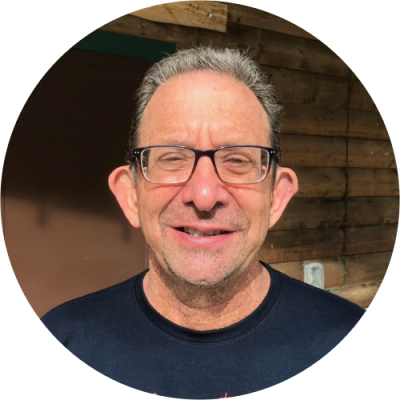 He has been on a number of retreat and camp boards over the years, as well as having extensive experience in leading youth and adult retreats. In addition to his Doctor of Ministry degree, he also has Master of Addiction Counseling certification, and is a certified Grief Recovery Specialist. He loves to fish, run, play tennis and golf, but his greatest love is his family – especially playing with his grandchildren who are the joy of his life. 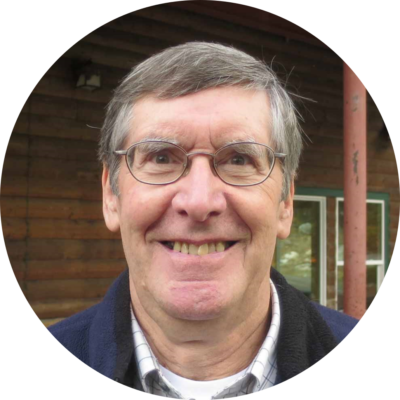 Greg is a graduate of Seattle Pacific University and Denver Seminary, and has been married to his wonderful wife Barb for 50 years. Together, they have two busy sons and daughter in laws, and 6 teenage (and beyond) grandchildren. Before moving to Yakima 15 years ago to be near family, the Kinlochs served for 33 years on the staff of The Firs in Bellingham, WA. Currently, they serve as associate staff of East West Ministries International, helping train church planters in Myanmar. Steve grew up in the Los Angeles area but also lived in Chicago, South Carolina, and Richland, WA. He has worked for the Pacific Northwest National Laboratory for the past 28 years, currently overseeing a portfolio of projects in radioactive waste cleanup and commercial nuclear power. Steve and his wife, Glenda, have two grown children. He is an elder in church and currently helps teach Sunday School for middle school students. He enjoys golf and fly fishing. Margie lives in Issaquah, WA with her husband/pastor George. She served for 20 years as a director for Alongside Ministries International and currently serves as NW Regional Director for the Perspectives Study Program. She’s chair of the Global Outreach Team at Bellevue Presbyterian Church. She loves the vision of Ingalls Creek to engage our faith with our calling in a context of rich community. Margie and George have three married children and 8 grandchildren. She counts it a privilege to be part of the board! Chuck has been in real estate development for over 20 years, with extensive experience in residential property development and financial management. 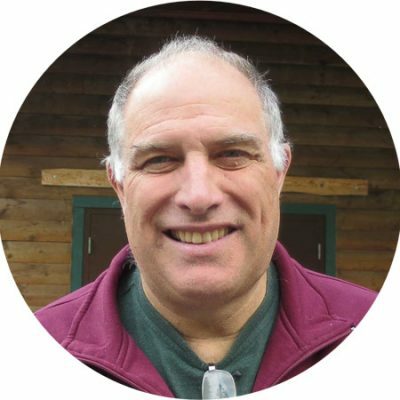 His heart for human flourishing has found expression over the years in his work as a CPA, CFO of two development companies, and as Executive Director for a multi-faceted community development organization in the Leavenworth, WA area (Upper Valley MEND). Chuck and his wife, Lynn have 3 children and 1 grandchild. Alan Waltar grew up on a small dairy farm in Western Washington, obtained engineering degrees at UW, MIT, and UC Berkeley. He spent most of his career at Hanford working on fast reactor technology, but also served on the faculty at the University of Virginia and Texas A&M University. He has been very active in the American Nuclear Society, having served as President in the mid-90’s. Out of those experiences he authored four books and helped to develop the World Nuclear University. But his real love is Ingalls Creek, where he and his marvelous wife of 57 years, Anna, co-founded the retreat center and remain involved with a helping hand wherever possible. Anna Waltar grew up on a farm near Chehalis, WA where she developed her love of the outdoors. Married in 1961 to her childhood sweetheart, she and Alan raised their family of four children in Richland, WA. Anna has worked as a secretary, an administrative assistant, and a bookkeeper. She feels blessed to have been part of the Ingalls Creek adventure from the beginning, working alongside many other dedicated people. Anna enjoys spending time with family and friends, being outdoors, working on genealogy, and writing. Alan and Anna have nine grandchildren.